I’ve been very focused on quilting recently, so I thought I’d throw in some baking I did about a month ago as a thank you gift to shake things up a little bit. I decided to give cookies to two people who’d helped me out with applications, and I knew that one of them liked chocolate, and one liked butter cookies. 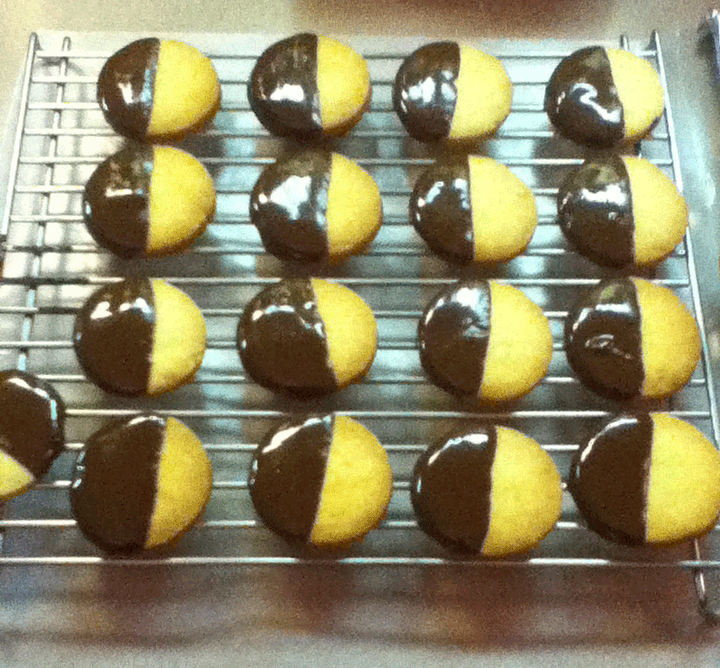 So I decided to make chocolate-dipped shortbread cookies. I neglected to take photographs of the dough, so we’ll start with unbaked cookies. 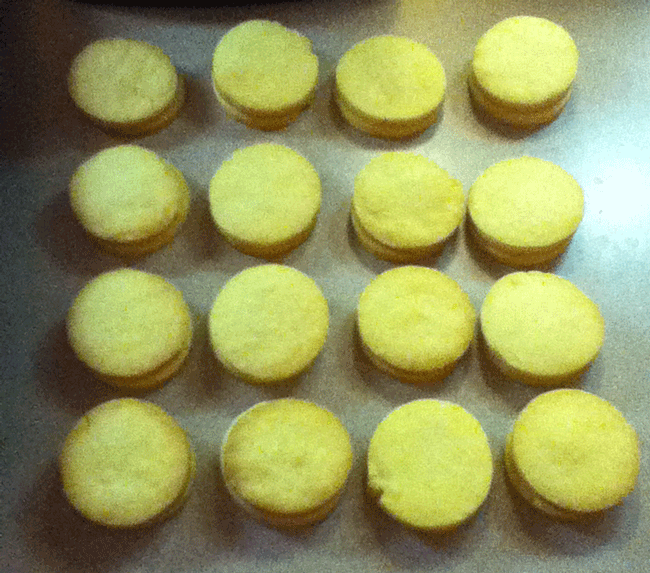 I rolled the dough out about 1/2″ thick and cut it with a biscuit cutter – a round cookie-cutter. You could use an upside-down glass, or jar to do the same thing. Some people pat the dough out with their hands, but I try to avoid touching it too much: the more you handle it, the more the butter melts, and that changes how it interacts with the flour when it’s baked, and then your cookies are just a smidge tougher than they might have been. You can tell this is toward the end of the batch by how crumbly the ones on top look: at that point I had rolled the dough out a couple of times, and it picked up just a little more flour each time. Those cookies still taste good, but they don’t look quite as pretty. 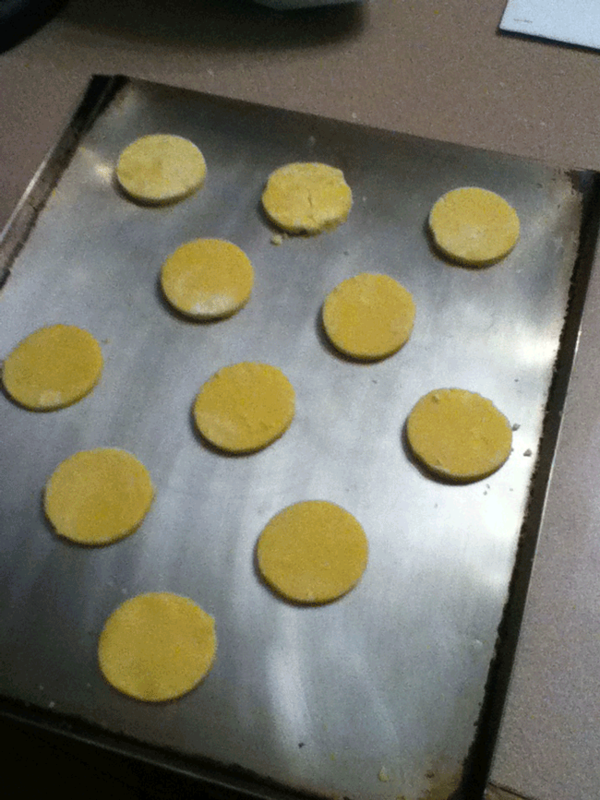 Pop them in the oven at 350 degrees for about 6-10 minutes, depending on how big the cookies you cut out are. Take them out when they start to look golden-brown around the edges — very pale. 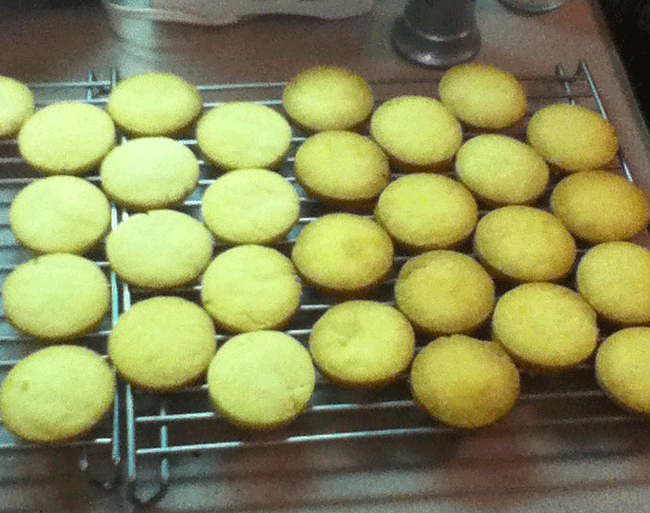 Here you see that I overbaked the first batch, by forgetting to set a timer. Ooops. They still taste okay, but the flavor changes a little bit. And these cookies were supposed to be a gift, so that whole batch was out of the running: too unattractive. Fortunately, I’d made a triple batch, so I ended up with enough pretty cookies. And here comes the fun part. One of the two recipients doesn’t like chocolate, so that gift was done, as soon as I boxed it up in a little tin. The other, however, does like chocolate. 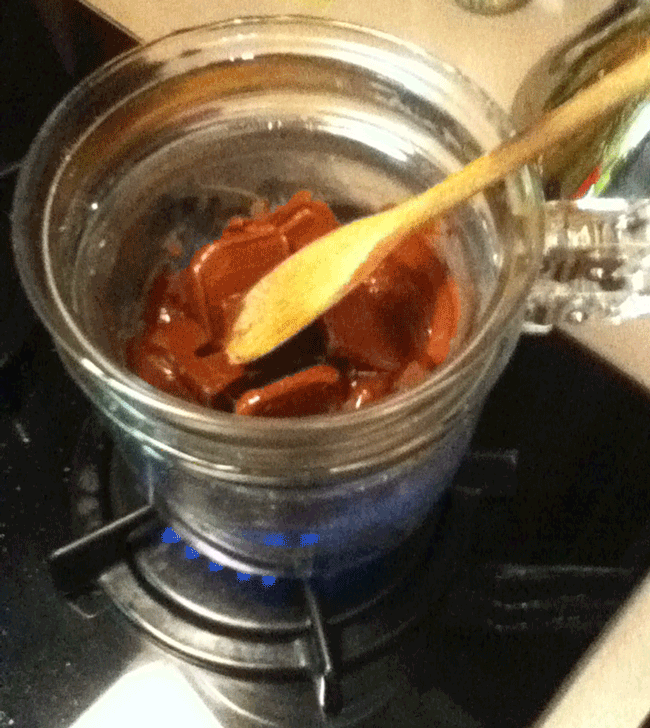 So I melted some semi-sweet baking chocolate in my double-boiler. Voila! Chocolate-dipped shortbread. I tend to keep mine refrigerated, and for a long time (well, as long as I can make it last, that is) — it tastes sweeter over time.